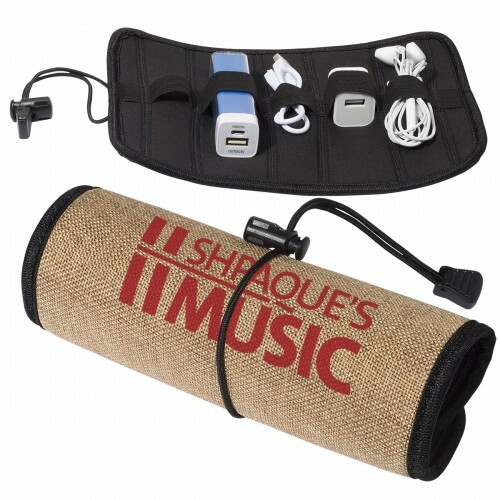 **Neoprene case accented with burlap fabric. 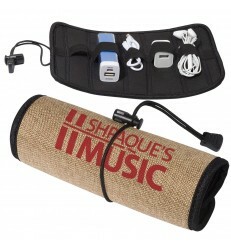 **Unique design is strong and durable, featuring elastic cord closure with adjustable lock. PRODUCT SIZE: 9" w x 6.5" h COLORS: NATURAL Just find your favorite themed design, choose an ink color and we'll add your name and date to create your one-of-a kind favor. Wondering what your personalized graphic will look like? No problem! You'll have the chance to approve your design before we print your favor.